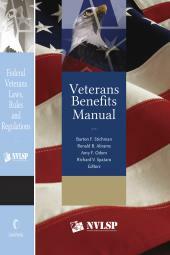 This volume of Federal Veterans Laws, Rules and Regulations (FLVRR) first published in 1999. It is designed to make it economically possible for all advocates to have the latest version of statutes and regulations that govern the adjudication of claims for VA benefits. 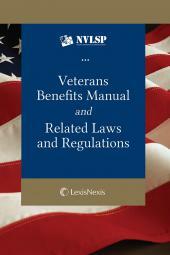 The FVLRR contains the entire Title 38 of the Code of Federal Regulations (C.F.R.). The FVLRR also contains the most important provisions of Title 38 of the United States Code Service (USCS). In addition, the FVLRR contains all of the rules of the United States Court of Appeals for Veterans Claims (CAVC or Court) and a comprehensive index. 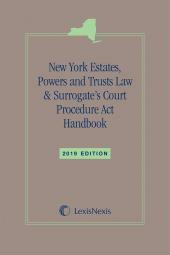 This revised edition of the FVLRR has been updated to cover changes to Title 38 through Public Law (P.L.) 115-230 and 38 C.F.R. through August 6, 2018.
the complete Schedule for Rating Disabilities (38 C.F.R. Part IV). For those taking appeals to the CAVC, a complete copy of the Court's rules is also included. This section should also be of interest to advocates who want to learn more about the CAVC. The eBook version of this title feature links to Lexis Advance for further legal research options.